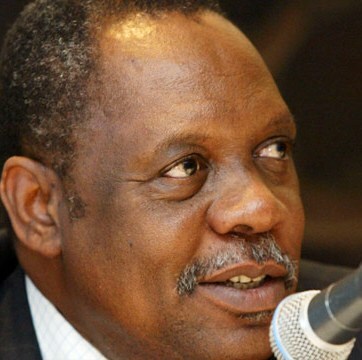 (Inside the Games): Issa Hayatou, the African football powerbroker who has twice denied corruption allegations in the past year, has been handed responsibility by FIFA for running the football tournament at next year's London Olympics despite being under investigation by the International Olympic Committee's (IOC) Ethics Commission. In what will be viewed as a highly contentious choice in some circles, Hayatou has been appointed head of FIFA's Organising Committee for Olympic football tournaments starting with London 2012. The 65-year-old from Cameroon, a member of the IOC since 2001, has also been appointed to take over FIFA's GOAL project that supports development programmes in poorer nations. Although Hayatou, President of the Confederation of African Football (CAF), was boss of the Organising Committee at last year's World Cup, he is still under investigation by the IOC following claims by a BBC television programme that he received a payment of 100,000 French francs in 1995 from the now defunct marketing company ISL. (CNS): The premier has unveiled another plan to encourage people to invest in the Cayman Islands by offering those who spend more than a half million dollars in real estate to apply for permanent residency (PR). During his announcement last week regarding the temporary suspension of the seven year rollover policy, McKeeva Bush also cited using PR as a carrot to encourage those who could afford it to build homes. He said this would be another way of injecting money into the economy and more jobs would be created as a “spin off from” the investment. Bush said he would be discussing the matter with Cabinet and the public. The plan would involve an amendment to the immigration law, which he said he hoped to fast track but he did not indicate whether the opportunity to get permanent residency would only be open to those building a house, those who already had built a home, or those who had purchased a property worth over a half million as well. Amongst the current amendments that will be introduced into the immigration law would be “an opportunity for persons who invest upwards of $500,000 in a home or other development real estate to apply for and be granted the right to permanently reside,” he said, stating it would not only encourage those who were here to invest but also encourage those who are planning to come to the islands to invest here as well. “I will discuss with Cabinet and discuss it with the public as I feel we need to fast track the law,” he told his Legislative Assembly colleagues last week. “If we can get people building homes now this will create a huge injection in the economy of work and spinoff from it and be a buffer in the double dip recession period in the USA,” Bush added. During his surprise announcement about the suspension of rollover, which is expected to take effect before November, Bush indicated that there would be several other changes to the immigration law to try and encourage more investment. He stated that he wanted to introduce more specific incentives into the immigration law to encourage “large and medium sized financial institutions to utilise the Cayman Islands as a viable jurisdiction” for their businesses. “Our friendly, fast and efficient business ethos must return without any further delay. Each one of us in all walks of life has a part to play in promoting our country and developing it as one of the most desirable places to work and conduct business,” he said. The premier emphasised his belief that the current immigration policies have driven away business and those in senior positions. When that happens, Bush said, local people suffered as several support jobs were lost with the departure of every senior manager. The suspension of rollover is also expected to stop the exodus of up to 6,000 people during the next twelve months or so, many whom originally came to the Cayman Islands post Hurricane Ivan and who will now have the opportunity to apply for another permit. If they are then granted another permit in their seventh year, they will go through the eight year residency period enabling them to apply for permanent residency. There are now growing concerns about the pressure this will be placed on the permanent residency board, which is already dealing with a significant backlog of residency applications and which will begin to see the affects of this suspension in 2013. The recent events in West Bay have shaken the entire population of these Islands to the core. Everyone is frustrated and angry and this frustration and angerseem to spill over into further hatred being fueled. Whilst we are all busy pointing fingers at the parents of these gangsters, their families, the teachers who passed them through school despite clear lack of certain abilities, the police, the government, the governor, more kids are being pulled into the vicious cycle of joining a gang and nothing is done to prevent this as everyone just focuses on the here and now. Thinking “long-term” and “big-picture” seems to have been a constant struggle in these Islands. You may say that some of the recent shooters and victims were not children but clearly those guys weren’t born violent and did not become who they are (or were) overnight. Most likely, they have associated and identified themselves with this kind of gangster lifestyle for quite some time, and perhaps it was even something that they have observed within their own families and in their own backyard. Unfortunately, we cannot assume that the families of these gangsters actually care about what is going on. Yes, there may be some who had a loving family and all, but it is likely that a lot of those families cannot even help themselves, never mind their offspring or other family members. I think we all can agree that proper upbringing goes a long way, but at the same time a bad childhood does not provide an excuse for someone to live a life of crime. We all have made statements how “children should stop having children”, but those statements alone haven’t really been that effective. So the fact remains that we as a society have to realize and accept that there are some children who never get the care and guidance they need at home and that some of these children will at one stage walk a very thin line between growing up to be successful and responsible members of the community or taking the coward’s way out and joining a gang, leading a criminal petty life and facing potentially a very untimely death. That’s where the cycle needs to be broken. The police, schools and government need to compile thorough statistics on the criminals and their background (age, gender, family history, neighborhood, etc.) and develop a profile. Children who fit this “profile” need early intervention and be re-directed towards other activities. They need to be actively recruited for after school programs and receive the motivation and guidance from counselor, teachers, church members etc. I am not very familiar with a lot of the afterschool activities available for children who do not have the means or motivation from their family to join those programs, but I don’t recall ever hearing about any of the churches (despite all the funding they constantly receive) going actively out and recruiting kids to join a basketball team or a literacy course. Handing out a flyer to advise kids of their options to join certain programs is not enough – gangs conduct active recruitment, so we need to actively recruit the kids to go down the right path. Children who are already noticed causing trouble in high school should undergo a trip to prison, be shown the facilities and experience a couple of minutes “lock-up” in the dark. This may give them a good first impression of what is to come their way. If a child continues to be trouble, they should be taken to visit a morgue, observe a dead body and assist with digging a grave at the grave yard. The other day I drove past the high school and observed that a couple of guys were hanging out outside the schools, not dressed in school uniforms and wearing the typical “gangsta” style with the jeans hanging down and flashing some bling. I was shocked to see that this went on right outside the school and was seemingly accepted as several school employees, faculty members and parents passed without any intervention. Would it not be possible for the police to be there when high school lets out, observing the area and haul off any suspicious looking individuals? The amount of traffic offenses committed by a big percentage of the population is appalling. Children grow up to see their parents speeding, parking in handicapped parking spots, tinting their windows beyond the allowed level with absolutely no consequences to those offenses. Obviously, those children are going to grow up and ignore the laws and regulations in the same manner. I believe it gives a child a long lasting impression when they are riding in the car and the parent is being pulled over for speeding or not having the baby strapped in a car seat. That’s when they learn that the police do have certain authorities, is there to uphold the law and if you break the law there are consequences. Just hearing about it in school is not good enough. I observed that a lot of recent bloggers have asked for the mothers to do the right thing and hand their sons over to the police. There was no mention of the fathers doing the right thing, so it seems that as a society we have already accepted that a lot of fathers are just not around. Whilst nobody can be forced to “love” a child and provide guidance, at the very minimum parents can be forced to provide financial care for their children. I was shocked when I learned over the last couple of years how little the court orders a father to pay for child maintenance. The court seriously needs to step it up and hold fathers responsible to contribute to the financial care of their children. Child maintenance needs to be deducted by the court from the fathers pay check and paid to the child’s caretaker (mother, grandparents, for example). If a father continuously neglects payment, they need to go to jail. If someone is unemployed, they need to receive assistance for employment, otherwise, they need to do community work (such as pick up garbage along the road side, sort garbage at the dump, sweep the street). Whilst these suggestions may not be the solution for the current crime wave, I strongly believe that unless we try and interfere from a young age, more and more children will be lead down the path towards a criminal life and our country will slip further away from us. 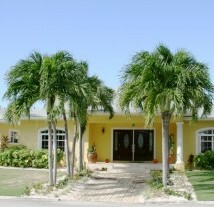 The recent events in West Bay have shaken the entire population of these Islands to the core. Everyone is frustrated and angry and this frustration and anger seem to spill over into further hatred being fueled. Unfortunately, we cannot assume that the families of these gangsters actually care about what is going on. Yes, there may be some who had a loving family and all, but it is likely that a lot of those families cannot even help themselves, never mind their offspring or other family members. I think we all can agree that proper upbringing goes a long way, but at the same time a bad childhood does not provide an excuse for someone to live a life of crime. We all have made statements how “children should stop having children”, but those statements alone haven’t really been that effective. So the fact remains that we as a society have to realize and accept that there are some children who never get the care and guidance they need at home and that some of these children will at one stagewalk a very thin line between growing up to be successful and responsible members of the community or taking the coward’s way out and joining a gang, leading a criminal petty life and facing potentially a very untimely death. That’s where the cycle needs to be broken. I observed that a lot of recent bloggers have asked for the mothers to do the right thing and hand their sons over to the police. There was no mention of the fathers doing the right thing, so it seems that as a society we have already accepted that a lot of fathers are just not around. Whilst nobody can be forced to “love” a child and provide guidance, at the very minimum parents can be forced to provide financial care for their children. I was shocked when I learned over the last couple of years how little the court orders a father to pay for child maintenance. The court seriously needs to step it up and hold fathers responsible to contribute to the financial care of their children. Child maintenance needs to be deducted by the courtfrom the fathers pay check and paid to the child’s caretaker (mother, grandparents, for example). If a father continuously neglects payment, they need to go to jail. If someone is unemployed, they need to receive assistance for employment, otherwise, they need to do community work (such as pick up garbage along the road side, sort garbage at the dump, sweep the street). 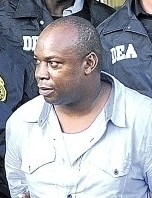 (CNS): Self-confessed Jamaican drug lord, Christopher 'Dudus' Coke, has written a letter asking a New York judge to go easy on him when he hands down his sentence. The letter, which has been published in full by the New York Times, asks US District Judge Robert P. Patterson to be lenient as he lists the reasons why he should pass sentence below the guideline range. Forty-two year old Coke is facing a maximum 23 years behind bars following is a guilty plea in New York on 31 July. The seven-page letter, which was handwritten, was sent to the judge on 7 September but released to the media Tuesday. Coke accepts responsibility for his actions in his correspondence but does not apologise. Pointing to the death of his mother, the trauma his son has suffered with his imprisonment and his good deeds in the community, as well as his claim he was about to hand himself in when he was arrested, the drug lord asks the judge to take into consideration some 13 points when he hands down the sentence. Coke also talks about his own father's death in a Jamaican jail, for which he says no one has ever been held responsible, as well as the harsh conditions he says he has been held in for the last 14 months. (Jamaica Observer): St Lucia’s Prime Minister Stephenson has asked the island’s diplomats in the United States to investigate reports that Washington had revoked the visa of his Housing Minister Richard Frederick. In brief statement, King said that he has instructed his diplomatic representatives to submit a report as soon as possible. “As soon as I receive information I will invite the media to discuss the issue,” he said, adding that he had no details regarding the revocation of the visa but was aware that since Frederick’s entry into local politics, there have been numerous unproven allegations about him. Former government legislator Janine Compton-Antoine first broke the news here that Washington had revoked Frederick’s visa. The daughter of the late co-founder of the ruling United Workers Party (UWP) told a television audience over the weekend that the onus was now on Prime Minister King to clear the air on Frederick’s position since the issue reflected badly on his administration. “This raises some serious questions as to how effective this minister can be in a job that often requires him to travel to the USA on the country’s business. (CNS): The fifteenth storm of the Atlantic Hurricane season formed around 1585 miles east-south east of the Northern Leeward Islands on Tuesday night. Tropical Storm Ophelia is currently moving at 16mph with maximum sustained winds of 60 mph with higher gusts. The National Hurricane Centre in Miami said that some gradual strengthening is possible during the next day or so as Ophelia remains on an westerly path. Tropical storm force winds currently extend outward up to 175 miles mainly to the north of the centre. At this point there are no watches or warnings and local weather experts said Ophelia poses no threat to the Cayman Islands. Today’s local forecast calls for cloudy spells and isolated thundershowers over the Cayman area during the next 24 hours in association with a surface trough moving across the area. Local showers could be heavy and accompanied by thunder at times and temperatures will rise to the upper 80’s. Winds will be east to southeast 5 to 10 knots with higher gusts in and around showers. Seas will be slight with wave heights of 1 to 3 feet. 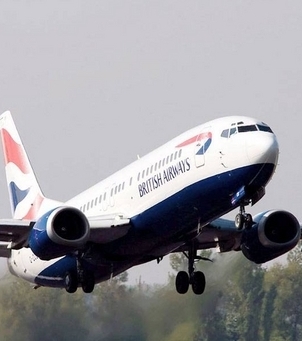 Among the reductions in capacity to the Caribbean, British Airways is expected to cancel its two weekly flights from Gatwick to Montego Bay, Jamaica, next March. (CNS): The information commissioner said that the Freedom of Information Law (FOI Law) not only provides the public with a right and a way to access government records but it is essential to ensuring that we live in an effective democracy. As her team begins the preparation for the country’s third “Right to Know Week” (RTK) which starts this weekend Jennifer Dilbert said the office will be using the time to remind people about the importance of the law and how they can use it to ensure they make government accountable. Since the legislation has been implemented government has slowly begun to recognize its need to be accountable to the people and the civil service is going through a cultural shift from an organisation that once guarded information with ferocity to one that is gradually learning toshare. The law has enabled debate to open in the public domain about how government is being managed and allowed people to question their representatives more effectively having access to more facts about how government is managed and how public resources are being used. However, the commissioner’s office continues to do battle with public authorities over the procedures surrounding the law and the need to publish more information on websites. The commissioner also continues to push the point in her decisions that public authorities should be using the law to release information and not using it to find ways of keeping public information under wraps. The information commissioner’s office will be doing a series of outreach meetings throughout next week beginning on Saturday 24 September with a visit by the team to the Market at the Grounds in Lower Valley, where the public can learn how they can use the FOI Law to get more involved with their community. This is the third annual RTK week hosted by the ICO, which was established in January 2009 soon after the law came into effect. The information commissioner is everyone to learn more about how they can benefit from the FOI provisions during the special week which is themed ‘Information is Key’ this year. International Right to Know Day is on Wednesday 28 September when over 90 countries and territories worldwide that have enacted access to information legislation mark its importance. A special seminar for government officials including presentations by the governor and the premier will take place on Wednesday morning. Other events include student and service club presentations, a GIS Spotlight TV segment, and a series of articles in the local media. The ICO will also be hosting several training sessions for government employees towards the end of the week. A special service at Agape Family Worship Centre will be held on Sunday the 25 September at 10am and all are invited to attend. As part of the public outreach, staff from the ICO will be available to answer questions and speak with the public about the FOI Law on Monday the 26th between 9am-12pm at the George Town Hospital and on Wednesday the 28th between 11am-2pm at the new Government Administration Building.